Vila et al. 1998  determined a total IgE of 69.0 kU/L and a serum specific IgE to lettuce of 4.08 kU/L. Screening for specific IgE was negative (Franck et al. 1999) . Electrophoresis was performed on 8-25 % polyacrylamide gel. (Franck et al. 1999) . RAST inhibition studies by Helbling et al. 1994  suggested common IgE epitopes between carrot and lettuce. Vila et al. 1998  demonstrated cross-reactivity of IgE between lettuce and mugwort. San Miguel-Moncin et al. 2003  demonstrated partial cross-reactivity with Platanus pollen extract and a clearly higher cross-reactivity with LTPs from plant-derived food such as rPru av 3 and peach extract. Olive-Perez and Pineda (2003)  studied a patient showing anaphylaxis to 'Tudela' lettuce hearts (L. sativa var. ), skin reactivity to plane tree (P. acerifolia) and mugwort (A. vulgaris), and IgE recognition by Western blot to these and also some vegetable extracts (potato, carrot, and leek). These results may be indicative of a case of poly-sensitization. Vila L, Sanchez G, Sanz ML, Dieguez I, Martinez A, Palacios R, Martinez J. Study of a case of hypersensitivity to lettuce (Lactuca sativa). Franck P, Kanny G, Dousset B, Nabet P, Moneret-Vautrin DA. Process, chemical, enzymatic:Most LTPs are relatively stable to heating and proteolysis (Asero et al. 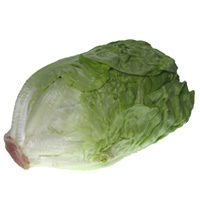 2000 ) whilst the stability of lettuce ns-LTP has not been characterised. Nature of main cross-reacting proteins:Cross-reactive with rPru av 3 (Cherry LTP) and partial cross-reactivity with Platanus pollen extracts (San Miguel-Moncin et al. 2003) . Allergen properties & biological function:Plant nonspecific lipid-transfer proteins are thought to be involved in transport of fatty acids both intracellular and extracellularly and of cutin monomers to the cuticular layer of leaves and fruits. There is an expandable cavity between the four alpha-helices which can bind one or two lipids. The helices are linked by four disulphide bridges. nsLTPs have also been reported to act as plant defense proteins against bacterial and fungal infections and form the PR14 family of pathogenesis related proteins. It is possible that a lipid-like post-translational modification is involved (Lindorff-Larsen et al. 2001 ). Allergen purification:The allergen has not been purified. Other biochemical information:The N-terminal sequence of the allergen showed a high degree of amino acid sequence identity to apple LTP (Mal d 3) (ID:67% and SI:92%) (San Miguel-Moncin et al. 2003) .